Most precious metals futures advanced Thursday. 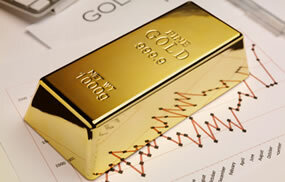 Gold futures climbed for a second straight session but silver finished down toward a more than two-and-a-half year low. Gold for December delivery added $3, or 0.3%, to settle at $1,204.30 an ounce on the Comex division of the New York Mercantile Exchange. "I don’t expect a sharp move from either gold or the dollar. I think we’ll be stuck here for a little while, barring any major event," Reuters quoted Chris Gaffney, president of world markets at TIAA Bank. Gold futures ranged from a low of $1,200.50 to a high of $1,212.70. They rose 0.2% on Wednesday and fell 0.6% on Tuesday — ending at their lowest point since Aug. 23. Elsewhere, silver for December delivery climbed 3.9 cents, or nearly 0.3%, to finish at $14.181 an ounce. Silver futures traded between $14.13 and $14.34. They gained 0.3% on Wednesday and dropped 2.6% on Tuesday — marking their lowest settlement since Jan. 22, 2016. October platinum tacked on $6.60, or 0.8%, to $790.90 an ounce, ranging from $781 to $796.30. Palladium for December delivery edged up 90 cents, or less than 0.1%, to $962.10 an ounce, trading between $959 and $974.70. Gold rose $8.45, or 0.7%, to 1,205.15 an ounce. Silver added 9.5 cents, or 0.7%, to $14.265 an ounce. American Silver Eagles were alone with bullion gains Thursday, U.S. Mint figures show. The silver coins jumped 637,500, resulting in the Mint temporarily running out of them.